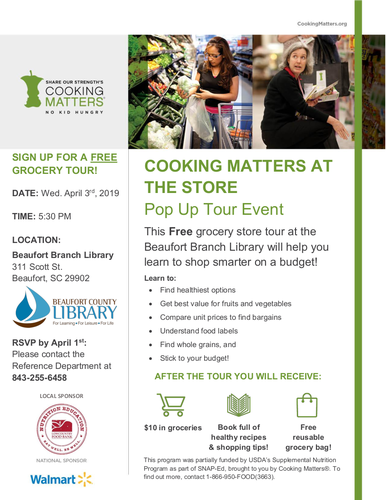 This free grocery store tour at the Beaufort Branch Library will help you learn how to shop smarter on a budget. After the tour you'll receive $10 in free groceries, free reusable grocery bag, and a book full of healthy recipes & shopping tips. Registration required by April 1st 2019. Please call 843-255-6458.